JA Europe and Citi Foundation are working together in 19 European countries in 2017-2018 to equip secondary school students with employability skills and entrepreneurship mind-sets through the Junior Achievement’s Company Programme. Within the partnership Junior Germany together with Citi organised a marketing workshop in Hessen for students to acquire deeper knowledge and handful information from to field to be able to apply it in their mini-companies. Philipp Brandes is a 15-year old German student from Internatsschule Schloss Hansenberg and his mini-company “UpGlass” produces drinking vessels made of used glass bottles. 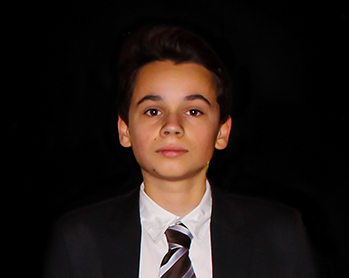 “I found it great that the contents of the marketing workshop at the JUNIOR Entrepreneur Meeting in Hessen were illustrated with examples like the student company 'Rauteck' from the school year 2014/2015, that produced bottle openers from the buckles of cars’safety belts. Another added value to the workshop was that employees from another former mini-company, ‘Bavolution‘, from the last school year attended. They shared their own experiences with us from which I learnt many things that I will be able to apply in our mini-company‚ UpGlass. These realistic examples made it easier to apply the advices directly to our student company and the information was also more understandable. The rule of "4 P's" of marketing (Product, Price, Promotion and Place) showed me which were the parts we had already implemented and what can still work on to gain more visibility for our mini-company. The most important outcome of the workshop for me was to understand that we should use as many channels as we can to reach as many customers as possible. For example, we have to improve our social media presence and also try to send press releases to newspapers. Furthermore, as we have not agreed on a target group that we want to address, we will have to complete this task in order to adapt our marketing strategy to this specific target group and to reach them this way.“ – concludes Philippe with great excitement.